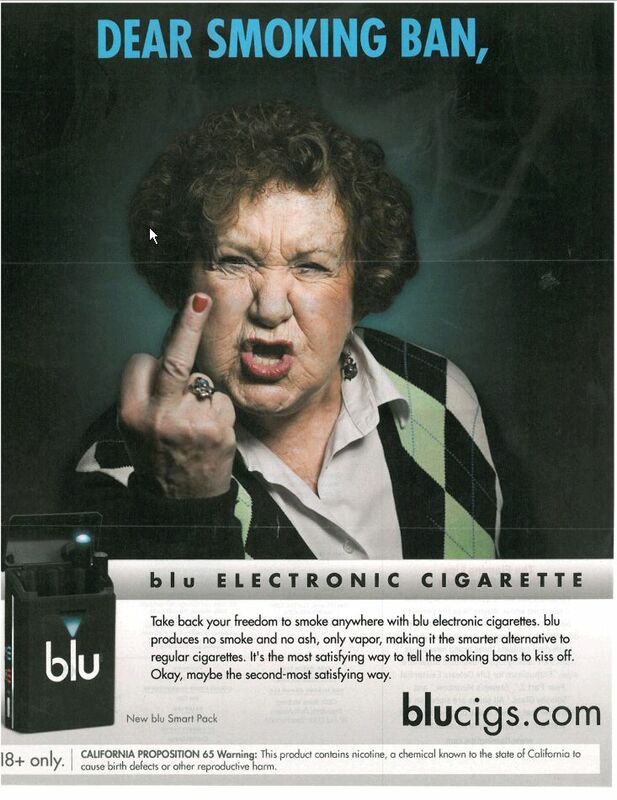 I want to complement Lorillard (the parent company of Blu Cigarettes) for very accurately portraying the attitude and arrogance of their customers. Who hasn’t had a belligerent smoker deliberately blow smoke in their face? 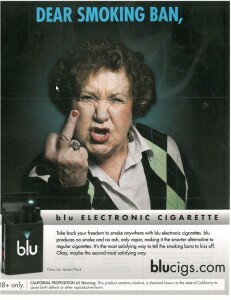 As this ad clearly demonstrates the tobacco companies themselves deliberately promote such behavior. But would anyone expect less from an industry that knowingly and deliberately kills over half a million people every year in the United States alone – all for the sole purpose of financial gain. There should be a ban on advertising. I’m a vaper and advertising only gives ammunition to the prohibitionists.